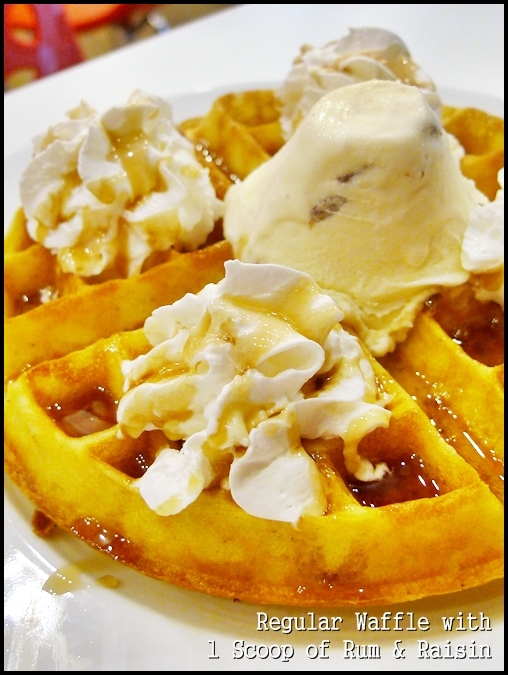 Gelare Cafe, e@Curve – Half-Priced Waffles on Tuesdays! 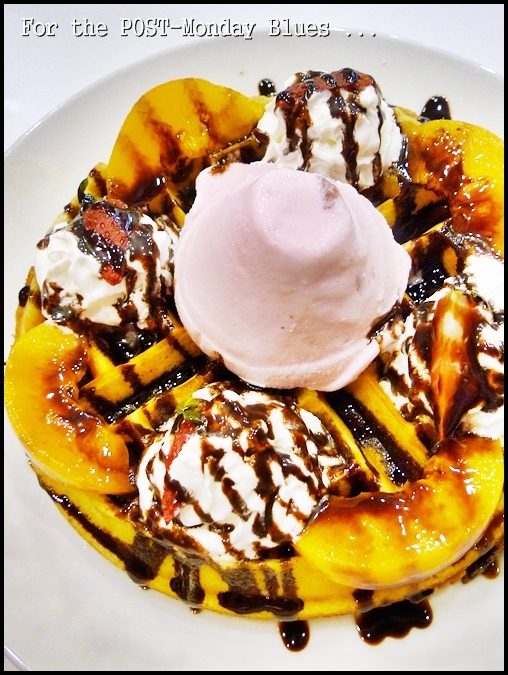 Epitome of Sins – Peaches, Strawberries, Whipped Cream, Strawberry Ice-Cream and Chocolate Sauce. Oh, did I mention that there was a waffle underneath? If you had shunned Cineleisure, or now known awkwardly as e@Curve (kinda missing the point, since I was about to name this as Gelare @e@ Curve, but that looks like something else ….) for food or some retail therapy, I don’t blame you. Thankful for the existence of Cathay Cineplex at the top floor of the shopping centre, which by far is still one of the better ones in Klang Valley (IMHO, of course), but the rest of the retail outlets just scream ….. boredom. Or lacklustre. I mean, yeah there is this McDonald’s, a Senjyu Sushi outlet that was sadly not as attention-grabbing as it should be, and that Funky Villa place that I have no intention to visit in the near future. Authentic Thai cuisine in a modernized setting, the place serves rather irresistible/value for money lunch sets, yet the ambience was anything but subtle. Will probably take some time before you can make your decision, with several combination of waffles on the board. Regular, Tutti Frutti or Chocolate Chip, and with a choice of maple syrup or chocolate sauce. Then the whipped cream or none. And lastly, 1,2, or 3 scoops of ice cream. From an array of 10 or so flavours. Phew ….. Life’s all about decisions eh? And so you get 50% off ALL of the waffles on Tuesdays. Simple as that. Though you still pay for the ice-cream, but you’re already saving a chunk. Not sure until when this offer is going to last, but certainly worth a try if you’re a fan of waffles and sweet stuff, or craving for decadence on a severe overnight Monday blues hangover. I know I soon will be, given the fact that I am FORCED to travel all the way back to Ipoh for one very very brief period of time. I still prefer my waffles to be served with nothing but maple syrup (honey also ok lah ….) and butter. Like how A&W used to make theirs back then. You can mix and match the various medley of sweets, but go easy on the chocolate sauce if you’re not fond of cloyingly sweet food. The ice-cream was good; being smooth and easy on the palate, but slightly overwhelmed by the sheer indulgence of having too much on one plate. And thus, we paid about RM12/USD4 or so for each waffle, sliced into quarters and served warm upon arrival. But bear in mind that service CAN get a tad slow, even though there were at least 3 people manning the counter, and there were only two tables (us inclusive) waiting for our waffles. 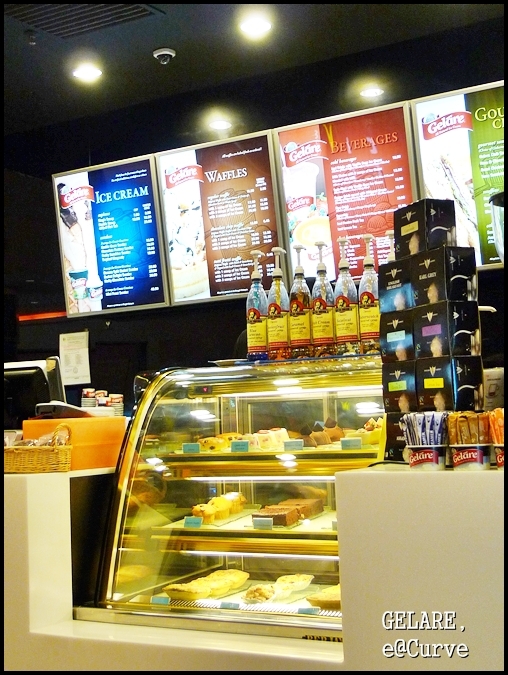 They do serve some savoury bites, though nothing of paramount importance, especially when this is a cafe that prides on their desserts; waffles and pancakes. Wouldn’t go all out to proclaim this being the BEST cafe that serves waffles, since I truly believe it isn’t, but until I find that certain place that serves MY type of buttery, soft and warm waffles with a golden and fragrant maple syrup balanced with a block of salted butter, then Gelare it is for me. 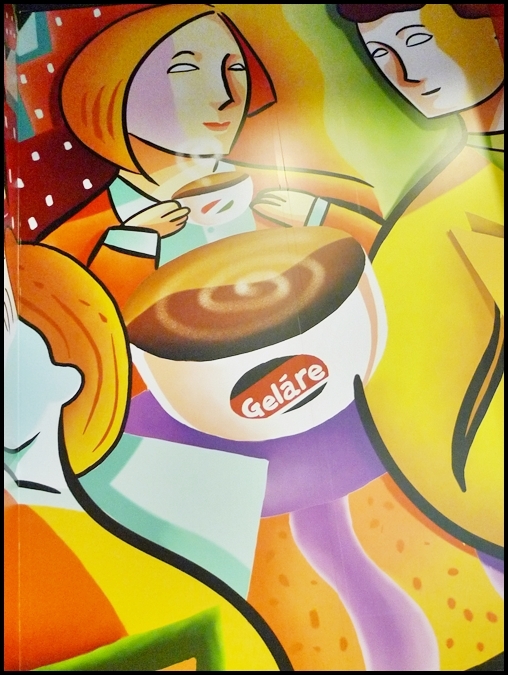 Gelare Cafe @ e@Curve, Level G-30 & 31, Mutiara Damansara, Petaling Jaya, Selangor, Malaysia. *Tuesday 50% Specials are valid on …. Tuesdays only. (Duh). 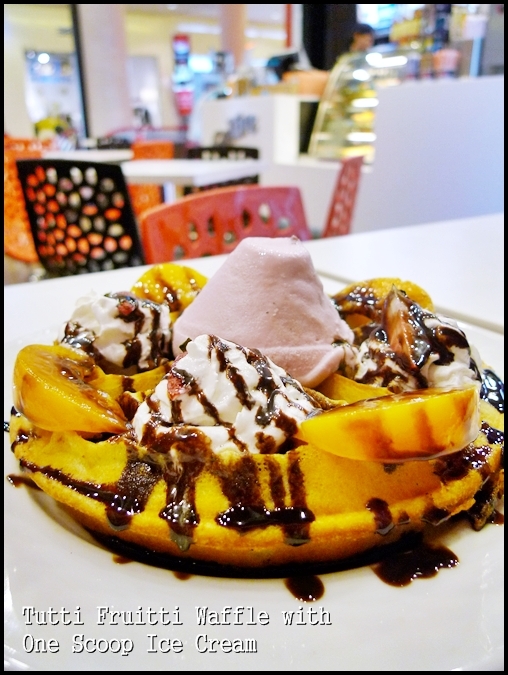 Only for the waffles, hence you still pay FULL price for the 1,2 or 3 scoops of ice-cream you choose from the selection. i seldom go to the Curve so may i know where is this e@Curve? i forgot where Cineleisure is already. behind the Curve or is it a shopping complex by itself? i only went once to Cineleisure years ago and i really cant remember where it is. Oh it’s directly next to The Curve. The tall building with Cathay cineplexes. Hahah…then we can do Fu Kua again and again. Or Salad Bar to minimize the guilt? It’s so near my house and I luv the Sambal prawns and Salted Egg Fu Kua so much. Combat at Curve next time. Haha…. great. I like them too, just that I’m very much prone to having bad ones, somehow. is this halal or not ?